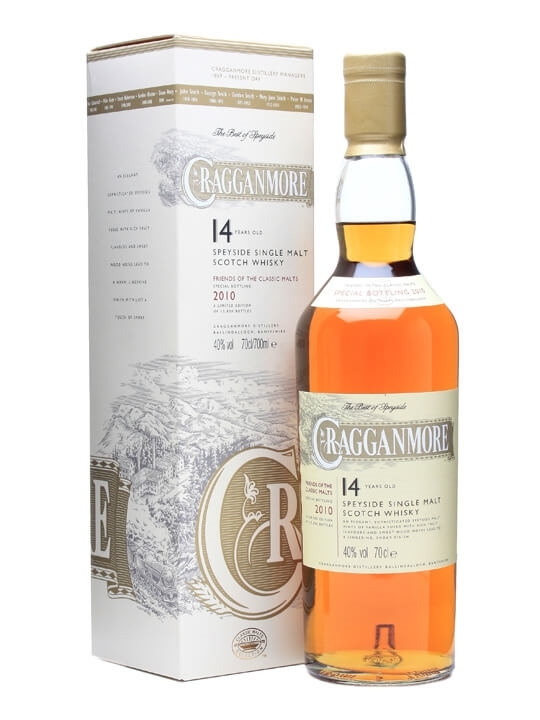 70cl / 40% / Distillery Bottling – A special bottling of Cragganmore for Diageo’s whisky fan club, the Friends of the Classic Malts, released in 2010. This one has been matured for slightly longer than the regular expression, sitting in casks for at least 14 years. 70cl / 46% / Distillery Bottling – A frequently-overlooked bottle in Glenlivet’s Cellar Collection, perhaps as it remains one of the year oldungest of the series (even at 20 years old). This is sterling stuff, nonetheless, described by Jim Murray as ‘sophistication and attitude rolled into one’. With the finish adding nuance rather than dominating the palate, this is a minor classic of the genre..
70cl / 46% / Distillery Bottling – The first of a new series from Bruichladdich, this Laddie Classic is a no-age-statement bottling intended, as the name would suggest, to showcase the classic ‘Laddie style..
100cl / 43% / Distillery Bottling – A litre-bottle of Glenkinchie, Diageo’s Lowland representative in the Classic Malts series..
75cl / 40% / Gordon & Macphail – A wonderful old 1980s bottle of 1947 Talisker from Gordon & Macphail sporting the classic black ‘eagle’ label..
70cl / 40% – “A very tasty dram, with a clear malt-intense in the Speyside style. The sheer intensity of the malt is sublime.” Jim Murray, author of Classic Irish Whiskey..
20cl / 43% / Distillery Bottling – A quarter bottle of Dalwhinnie 15yo, the Highland representative in Diageo’s Classic Malts series..
70cl / 54.8% / Distillery Bottling – The latest Talisker 25yo is another destined for the pantheon of fantastic expressions of Skye’s finest. With a deceptive power hidden in a palate of incredible elegance, this is a classic iron-fist-velvet-glove Talisker par excellence..
75cl / 40% / Distillery Bottling – This Macallan 1946 is rather unusual, in that it was made with peated malt due to the high post-war prices of coal. In our opinion it also happens to be one of the greatest Macallans ever released. The inital release of this was quite large and took a while for the distillery to sell, but it is now recognised as a classic..